Superdry women’s Boxy Snorkle hooded SD-Windparka jacket. 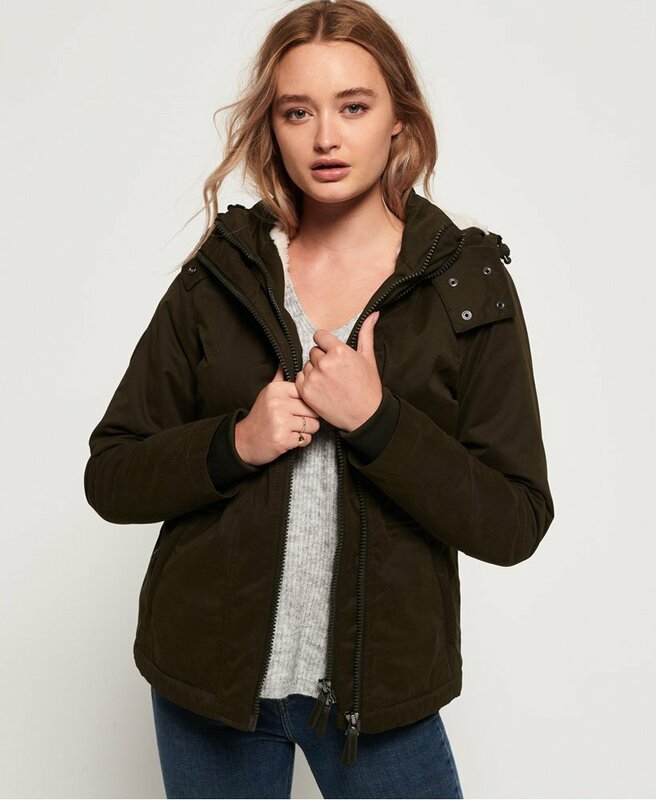 This jacket features a fleece lining, double layer zip fastening to keep you warm, a fleece lined hood, elasticated cuffs with thumbholes and a bungee cord at the waist. The jacket is finished with two front zip pockets, a Superdry logo badge on the sleeve, an embroidered version of the iconic logo on the shoulder and branded zip pulls. A must have jacket this season.